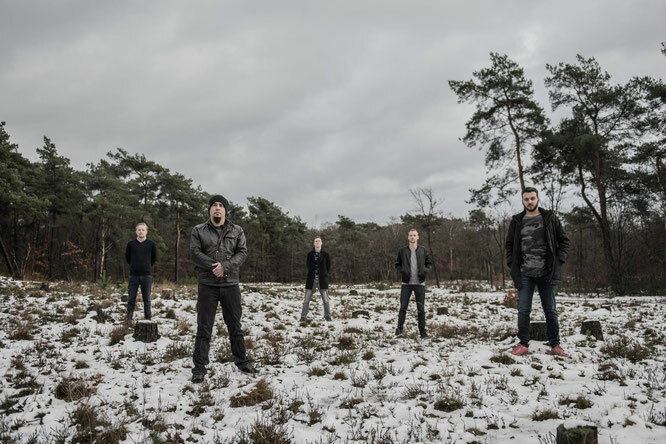 Mountain Eye is a metal band founded in Amsterdam, The Netherlands. After playing in an alternative rock band, guitarists Tim and Omar decided to start a project in which metal is made accessible to the general public by adding influences from hard rock, alternative and funk. In the summer of 2017, the guitar duo was complemented by three young, experienced and creative musicians. First of all, vocalist Arthur joined the band. In the same month, bass player Kieft, with roots in funk and jazz, and rock drummer Matthijs joined the band as well. Catchy songs with heavy guitar riffs and compelling vocal lines soon became the trademark of the band, with which it tries to reboot the once popular nu metal scene in their own innovative way. During 2018, Mountain Eye toured the Netherlands and Belgium in their ‘Take Control’ Tour, and won the Battle of Hox band battle. 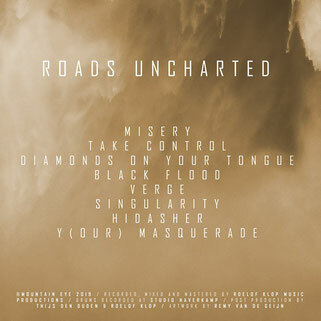 In the meanwhile, they recorded their debut album ‘Roads Uncharted’, to be released on January 28, 2019. 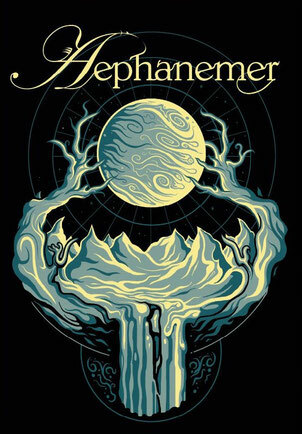 The album will be presented in the legendary Melkweg venue in Amsterdam, on February 9th. We start off with ‘’Misery’’, which has a bit of an intro, but around a minute in the track really starts. Arthur does both clean and harsh vocals (if I’m correct), but I like the harsh vocals more. I find them more fitting to the music. ‘’Take Control’’ start with the same sounding guitars but I am glad they get heavier during the track. The verse absolutely took me by surprise. I can’t even talk that fast and Arthur does it GROWLING! I am seriously amazed! ‘’Diamonds On Your Tongue’’ seems to have a whole other atmosphere than the previous tracks. It is more rock than metal, not my favourite track of the album. ‘’Black Flood’’ on the other hand is genius. My personal favourite of ‘’Roads Uncharted’’. It sounds angry, powerful and energetic, I love it. ‘’Verge’’ is a mix between growling verses and clean chorussus. Compared to the verses, the chorus is a bit too slow and sadly a bit boring in my opinion. ‘Singularity’’ is extremely melodic and you all know I like that. The guitars get a bit more spotlight in this song as well. ‘’Hidasher’’ is an instrumental interlude for album closer ‘’Y(our) Masquerade’’. It is a nice outro but also the genre feels a bit misplaced. 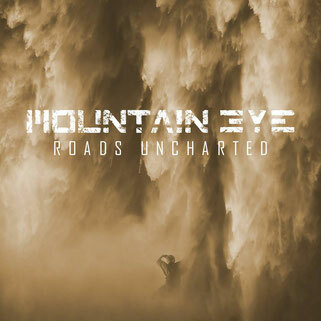 Mountain Eye has a new, fresh music sound, which kind of sounds like a mix between Linkin Park and Slipknot, with a huge spin of their own in it. It is an original, unique idea and they have amazing potential for the future.